CPC was brought in to develop and stimulate sales leads for Underground Solutions in Southern California. 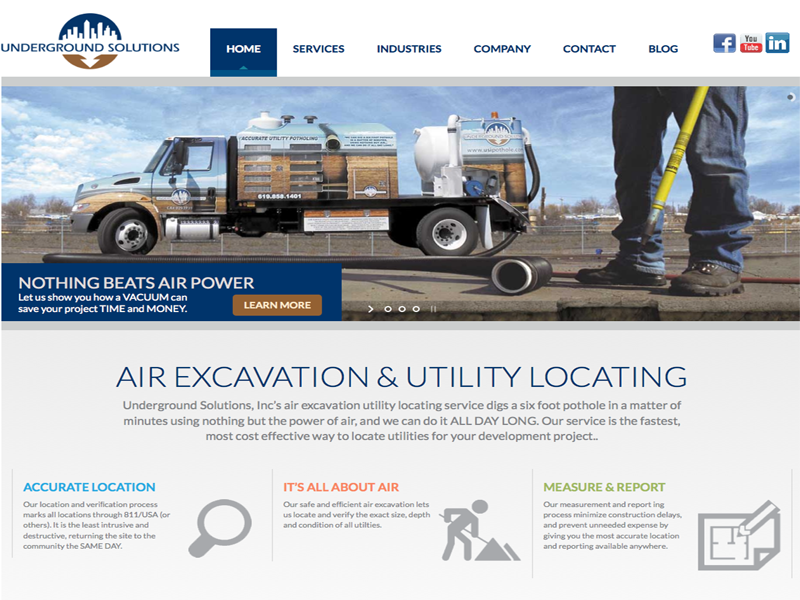 We designed and developed a customized website that enhanced through Google, their business offerings. By incorporated integrated informational video of how it works as well as project completions, CPC informs viewers of all that USI brings to the table for its customers. CPC implemented and maintains a streamlined monthly marketing email campaign system of electronic flyers and direct connects that targets industry organizations that use the USI service offerings. USI has been able to increase its sales leads by over 200%. In addition, they were able to cut down on direct sales staff, savings thousands of dollars annually in payroll expense.